Braj Heritage Fest was the grandest inter-school cultural extravaganza in Vrindavan conducted by Vrindavan Chandrodaya Mandir. The prize distribution ceremony was held on 16 September 2018. 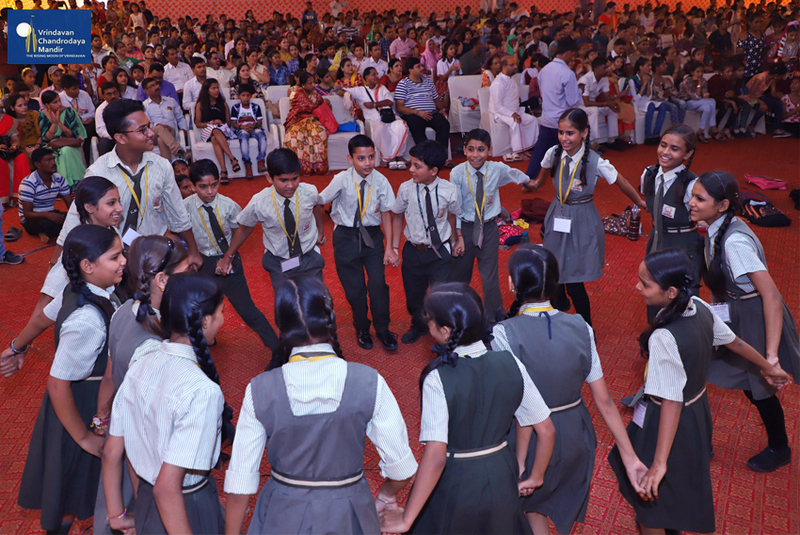 The competitions were conducted to encourage children in various features of Indian culture like Music, Dance, Theatre, Shloka chanting etc. 5500 students from 48 schools participated and 535 students were honoured on the prize distribution ceremony. Dr. Rajendra Pensiya – SDM Mant was the Chief guest for the event. Other dignitaries like the Temple President ChanchalaPathi Dasa, Temple Vice-President Sri Yudhishtira Krishna Dasa, Sri Ananth virya Dasa etc were present at the ceremony. Sri Rajendra said “This fest has been the best dias for the children of Braj to show the art and culture of Braj and their talents”. Heritage Public School grabbed the trophy for winning the maximum number of prizes, followed by Elite New Generation school whereas third prize was grabbed by Ratan Lal Phool Katori School.